Should I Try to Improve My Distance or Speed? New runners are often confused about how to set goals for speed and distance. If you are a beginning runner, you may wonder if you should improve your distance first or if you should train to get faster. The short answer is to train for distance first. It's better for you to start by building an endurance base. That means that you increase your aerobic capacity first. You increase your mileage so that longer runs are more comfortable. As you build up your endurance, your speed will also improve. As a new runner, you may be tempted to get faster first. Certainly, better race times are satisfying. But if you participate in speed training before you build a strong endurance base, you put yourself at risk for injury. Speed training involves doing high-intensity intervals. You might do 200-meter, 400-meter or longer repeats that require you to run at a very fast pace. It's important that when you do these drills your form is good and that you have the aerobic capacity to avoid injury. In addition, if you have spent time building an endurance base, then the speed drills will be more effective. To build your endurance base, follow these guidelines to make the most of your training time. Don't put pressure on yourself to run the entire length of your desired distance. By doing a run/walk combination, you'll be able to cover more distance and you'll still get a great workout. And, don't worry, you'll slowly build the fitness —and confidence—you need to run longer without walking. One of the most common reasons why beginner runners stop running before they reach their goal distance is because they're running too fast. 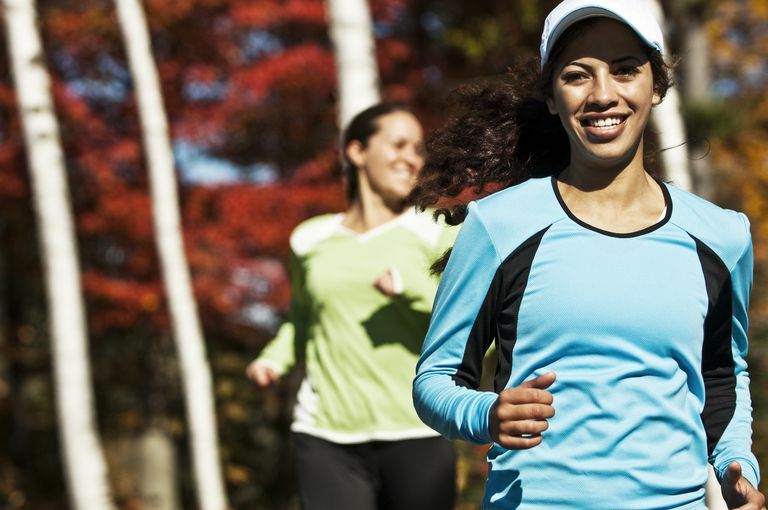 When you're first getting started with running, you really should be running at a conversational pace. That means that you can very easily talk in complete sentences while running. If you're gasping for air, you're definitely going too fast. Some beginner runners are actually physically fit enough to run a certain distance, but they don't have the confidence or mental strength to push themselves farther. In many cases, it's simply "mind over matter." Try to distract yourself by playing mind games, choosing new running routes, or running with other people. The general rule of thumb is that you should add no more than 10 percent of your current distance per week. So if you are currently running five miles per week, you might add about a half mile to your weekly run until you feel comfortable running that distance. Then add slightly more. So when should you start speed training? There's no need to rush into it. Doing too much running at too high an intensity is an easy way to get injured and/or burned out. After you've been running for about two months and have a nice base, you can start by adding strides into one of your weekly runs. You can also try picking up the pace towards the end of one of your runs. Wait until you've been running for 3-4 months before you start to add tempo runs, fartlek runs, or interval workouts. Should I Run By Time or Distance? How Many Calories Can You Burn While Walking?